“Just wanted to give you some feedback following our first date. What a delightful gent. Definitely worth exploring further. I agree with you he has lovely eyes and a genuine nature. Can also be quite funny. As you know he’s very into his cars so is taking me for a day out to Goodwood Revival this Saturday. As that’s going to be several hours together it will give us a better idea how we might get along. Well done to you for matching us. There are enough similarities for us to get on and enough differences to keep things interesting. Thanks again and very best wishes”. September 2018 -Female 58 – Sussex. “Having been a member of a couple of other agencies, I have found the whole experience with you wonderful . Your approach is very different to what I had before and the clarity I have come to about what I really want through your process has been the best. The discussions we’ve had helped me see I chose the wrong people and now I feel ready to have the right people put in front of me”. July 2018 – Male 57 – Business Owner – Sussex. “I met her after work on Friday. She was lovely, exactly what I’m looking for. You did very well. The 3 hours flew by and I enjoyed my date. Lots of talk about our travels abroad. By the end of the evening I did quite fancy her. She was easy going and I felt very comfortable in her company. She seemed down to earth and had a very good sense of humour. I agree with you that she had a great smile too. I sent her a message Friday after the date, thanking her and saying I had a very nice evening and she replied and we’re meeting again”. June 2018 – Male 37 – Accountant – Hampshire. “Morning Tara, I thought I would touch base with you and let you know that things with him are going very well. I realised this morning that it was January when we first met, I thought maybe I should have let you know sooner. I say this in the nicest possible way that I hope I won’t be coming back to you! Thank you, you really did do what you said you would”. “I must say you have done a fantastic job setting me up on the dates you have. All three have been great matches”. “We first met a couple of Sundays ago and we had a lovely couple of hours together. She is a really lovely lady and we got on really well and agreed to meet again before we left to go home. We have been keeping in touch since and have arranged to meet again next Tuesday and I am taking her to a live music gig in Brighton and if all goes well seeing her again on the following Saturday…fingers crossed”. “We met again for coffee yesterday and have arranged to go up to London next week to visit some galleries etc which should be really interesting for both of us. He’s a really nice guy and we seem to get on very well so far”. “A friend of mine met someone through you and got married last year so I thought you might be able to help me too“. “He’s a lovely guy and I’ve seen him a fair bit, I even went to France and met his mum and sister”. “A friend of mine met someone through you and got married last year so I thought you might be able to help me too”. September 2017 – Male aged 46 – Company Director – Surrey. “We’ve now had a number of dates and we had a conversation last night about where to go from this point. We both are very excited about how things are progressing between us. We have so much in common and our personality traits really seem to compliment each other. He’s also got lovely broad shoulders and a handsome face which certainly helps !! I was wondering if I could put my membership on hold whilst we take some time to get to know each other”. September 2017 – Female aged 31 – Law sector – Sussex/Surrey border. “We have been getting on really well and we are very happy with the introduction you have made. We are excited to see where the next few months will take us so we would like to ask that you put both our accounts on hold”. September 2017 – Female aged 39 – Teacher – Surrey. “He’s a lovely guy and I’ve seen him a fair bit, even went to France and met his mum and sister”. August 2017 – Female aged 28 – Doctor – Sussex. “Hi Tara, we’re living together now and making lots of plans for the future including our wedding, it’s all good and thank you again”. August 2017 – Female aged 32 – Lawyer – Surrey. “Hi Tara, a quick update as promised…met him last night again for meal, had a wonderful evening, meeting again Thursday for supper. He’s such a lovely man, real gentleman, funny, kind…so yes I’m so pleased to have met him”. August 2017 – Female aged 56 – West Sussex. “Dear Tara, I just wanted to say thank you…she is fantastic!” July 2017 – Male aged 57 – Company Director – Surrey. “Our relationship has been amazing, she is strong, determined, an extremely funny and half glass full person.” June 2017 – Male aged 62 – Consultant – Surrey. “Thanks for checking in…ideally matched and we’re now boyfriend girlfriend, seeing where it goes…I might be in love.” June 2017 – Male aged 37 – Commercial Manager – Surrey. “Hi Tara hope all is well…Just letting you know I am flying to Greece on Sunday to meet him as joining him for 10 days on his yacht, all is going well…”. May 2017 – Female aged 50 – Surveyor – Sussex. “I met with her yesterday and I need to say I am very impressed. We had a great day together and decided to meet again”. May 2017 – Male aged 34 – Company Director – Surrey. “Hi Tara, just to update, we’ve met up lots, we’re getting on well and have loads in common so we’ll see. In the meantime it was a positive experience working with you too”. March 2017 – Female aged 46 – Photographer – Sussex. “We have met up four times and meeting again soon. Our dates have gone really well and we seem to have a connection. He’s is really a wonderful man, complete gentleman and I am looking forward to what the next few weeks and months may bring“. March 2017 – Female aged 34 – HR – Surrey. “I have to say all the matches you sent me so far Tara are spot on, I look forward to meeting this next girl“. January 2017 – Male aged 39 – IT Director – Surrey. “I just wanted to let you know that my relationship with him is going really well! He is such a kind, caring man. Thank you for introducing us and Merry Christmas. December 2016 – Female aged 53 – Theatre Nurse – Surrey. “I hope you are well. Thanks to you we have enjoyed the last few months together and are looking forward to spending our first Christmas together too. I wish you continued success next year and a Happy Christmas”. December 2016 – Male aged 57 – Director, Surrey. “Working with Tara was a breath of fresh air. Rather than relying on written testimonials, emailed pictures and a brief telephone call, Tara changed the matchmaking game from the off. 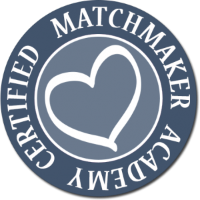 Meeting face to face, getting to know me and only then talking the business of matchmaking. She was driven to provide the most personal approach, even down to matching cat lovers. I felt immediately confident that Tara would find me a suitable match and not simply suggest profiles to suggest action. She made it clear from the start that she would only suggest introductions if she felt there was a potential match – and this may take some time. Fortunately for me, Tara found a suitable match within a couple of weeks. Her approach to background checks was also unique and gave an extra level of confidence that the person I was meeting was for real. From a female perspective, safety was paramount to me. Tara, being an ex police detective and knowing she would have met all potential matches before introducing me gave me the utmost confidence. Tara spent time getting to know me and my values. It truly felt like a personal introduction service. Our first date was in London. We spent a wonderful evening around the Southbank and Charing Cross area. We shared a few drinks and chatted and agreed that this wouldn’t be the last date. We held hands as we walked over the bridge to Waterloo. Almost a year on we are still together and both eternally grateful to Tara for the care and attention she made in this life changing event. I feel so lucky to have met someone special. This last year has been amazing together…thank you so much for introducing us”. November 2016 – Female aged 41 – Business Development Manager Sussex. “We are still very much together and still happy after five months and I will keep you posted as to how things develop”. October 2016 – Male aged 62 – Accountant – Surrey. “I thought I would just send you a quick update. Well, it’s all very positive we get along really well and have been on some amazing dates and have a few things planned for the not too distant future. It’s fairly promising”. August 2016 – Female aged 31 – Solicitor – Kent. “Things are going well, she is a warm and thoughtful person and a real joy! I was wondering if it’s possible to put my membership on hold to see how things develop between us”. August 2016 – Male aged 38 – Financial Consultant – Surrey. “Morning Tara, thank you for your support and she was a very good choice so please suspend our memberships, Kind regards“. August 2016 – Male IT Manager – Sussex. “Thank you for the update about my membership I feel really lucky to have met him, we’ve been away lots of times and get along very well”. July 2016 – Female aged 40 – Area Manager – Hampshire. “Apologies for my delay in responding I have been away for a few days. I have seen him quite a bit and in fact it was him I was away with…at present I am having fun so am taking it as it comes“. July 2016 – Female aged 59 – Accountant – Surrey. 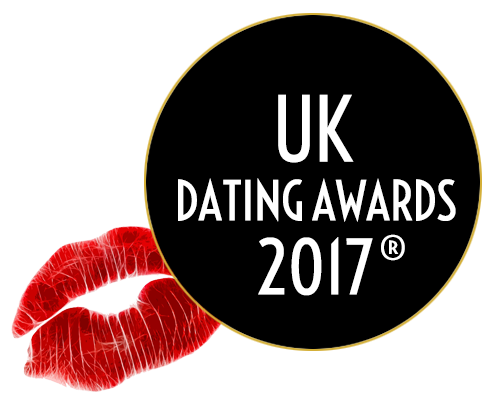 “I would like to say that I am very impressed with your matching skills as both guys have been lovely intelligent company and I have enjoyed the dates“. 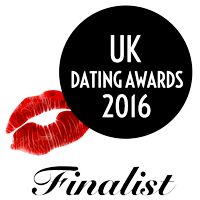 June 2016 – Female aged 34 – Relationship Manager – Sussex. “Tara, I just thought I would update you, I met with her and thought it went really well. To be honest it was the best date I have been on for a long time and I feel quite excited about meeting her again, thank you“. May 2016 – Male aged 51 Research Scientist – Kent. Thank you for all your hard work, I am delighted to have met her”. May 2016 – Financial Consultant – Surrey. “Things are going really well with him and we are happily dating so I think it’s best to suspend my membership for the time being“. April 2016 – Female – HR Manager – Sussex. “I’m enjoying spending time with him and we have a lot of fun together. He’s planned a surprise for me so I have taken Friday off work…no idea! 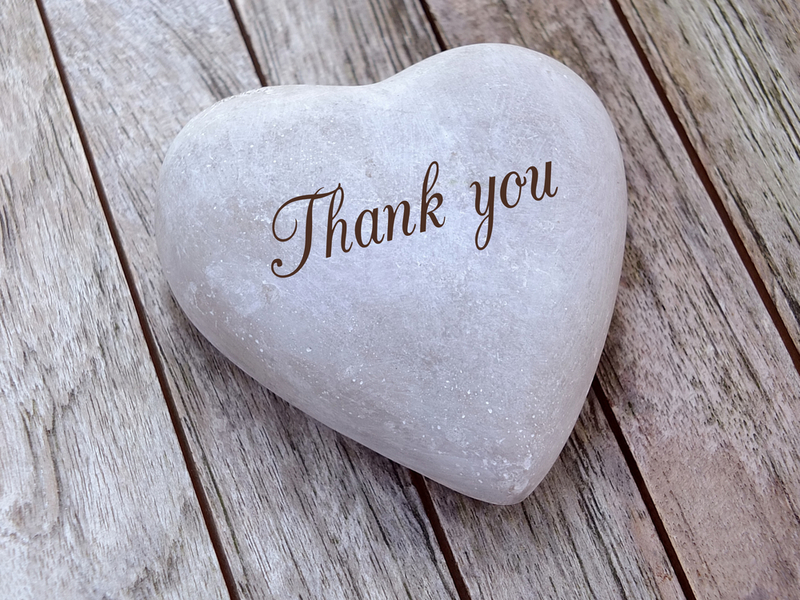 That’s it really I am still with him, thank you.” April 2016 – Female – Consultant – Surrey. “I am so pleased to tell you all is well, we are together and thriving, I am writing this from Gatwick and we are about to board our plane. We were talking about taking you out for dinner to thank you for introducing us”. March 2016 – Female Medical Professional, Sussex. “Just a quick update, we met the other night and talked for hours, we both agreed to meet again and did. Third date set for Saturday night“. December 2015 – Male Special Needs Teacher, East Sussex. -stop we have similar history and thoughts, for a first date it could not have gone better. We will be seeing each other again”.